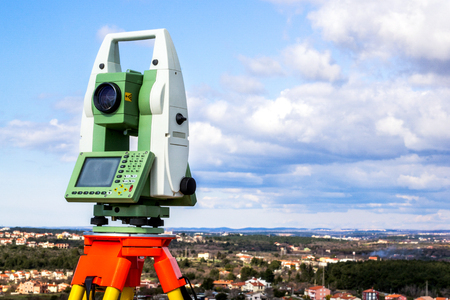 Licensed Land Surveyor – Construction Support Services in Vermont | BLAZE Design Inc.
David E. Spurr is a Licensed Land Surveyor in Vermont and New York. David has over 30 years of combined surveying experience in both the military and in the private sector. He has expertise in boundary and subdivision surveys, residential and commercial planning development, and site planning. He has performed many telecommunication site plans, leases and easements, FEMA Flood Certifications, hydrology and road or rail (route) surveys while working in the New England states, New York including the five boroughs, Pennsylvania and Germany. David is a U.S. Army veteran and is currently an active member of the Vermont National Guard serving as part of an engineer battalion (Horizontal Construction). BLAZE Design Inc.’s equipment consists of the latest technology in robotic and reflectorless Trimble survey instrumentation, coupled with integrated survey grade Global Positioning Systems and data collection. This equipment includes the Trimble S6 robotic instruments and the Trimble R10 GNSS GPS receiver. The company utilizes both Vermont and New York Continuously Operating Reference Stations for real-time GPS data. Plan sets can be printed and distributed in-house by hard copy and electronically. For more information, call 802.442.2892 today or fill out our form below!